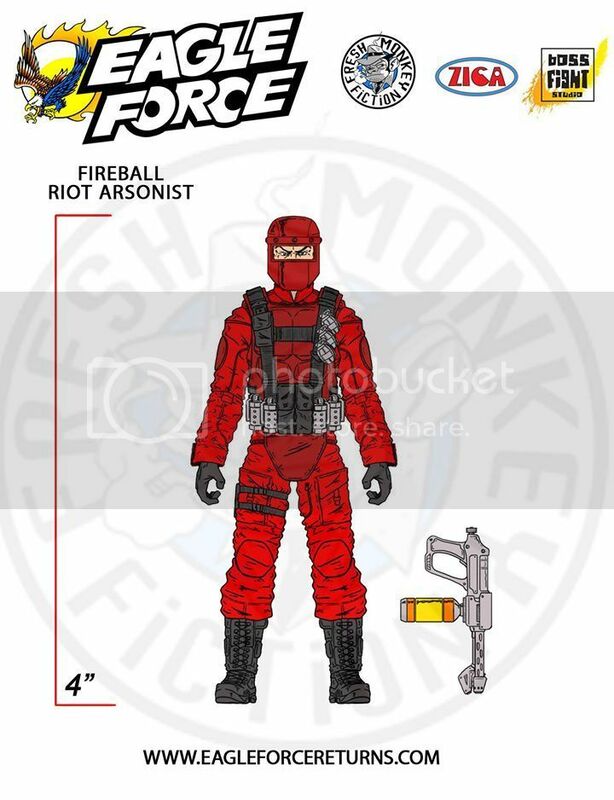 The folks behind Eagle Force Returns posted the concept images that they revealed at JoeCon this weekend! Check out the R.I.O.T. Arsonist, Fireball! Revealed at Joe Con over the weekend…Fireball.. R.I.O.T. Arsonist. As well as the Eagle Force sniper, Neal Stryker Jr! New Eagle Force character revealed at Joe Con!! 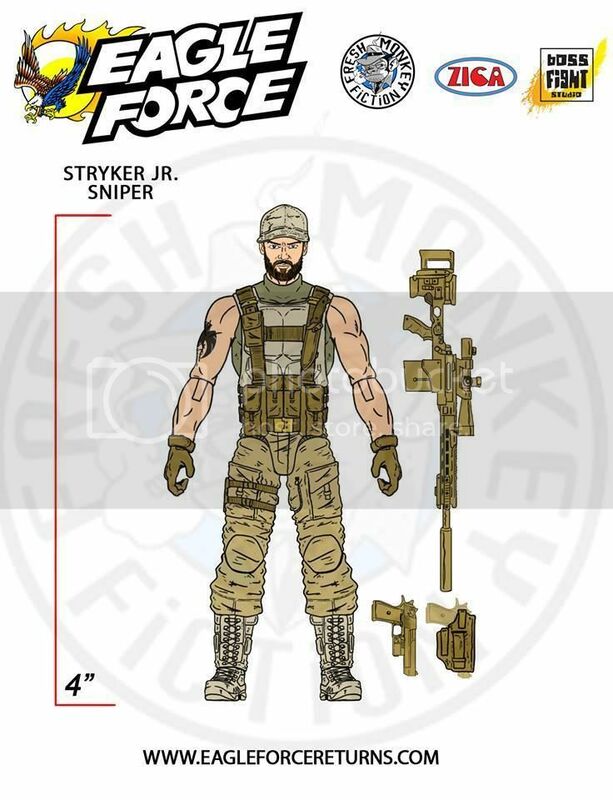 !….Son of Neal Stryker, the original Eagle Force Sharpshooter, we’re proud to reveal the 1st new Eagle Force character in 30 years: Neal Stryker Jr. – Eagle Force Sniper. Eagle Force Returns is brought to you by ZICA Toys, Fresh Monkey Fiction, and Boss Fight Studio! Check them out on Facebook! Eagle Force Returns discussion on Cobra Island! More Hasbro Display Case Images!